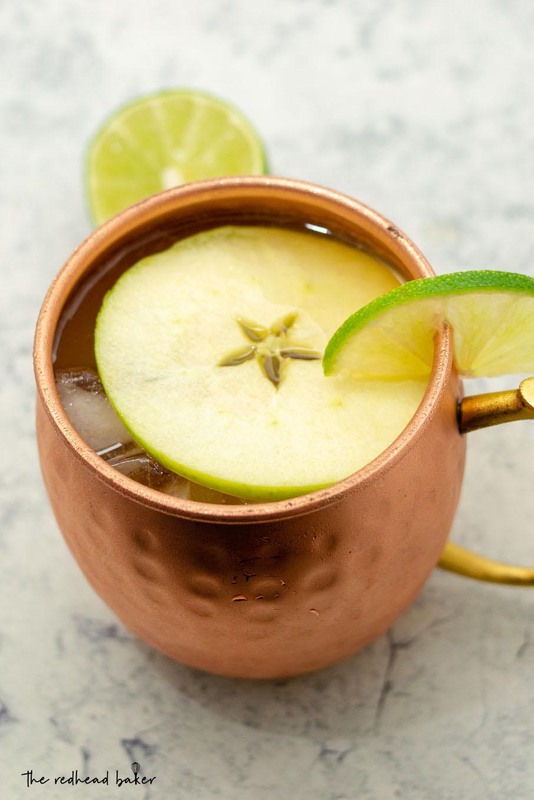 Apple cider Moscow mules are a delicious autumn cocktail. 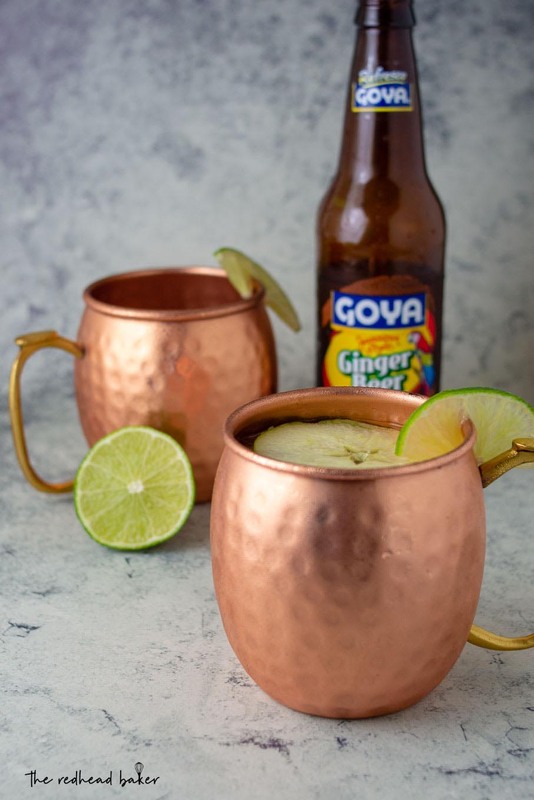 The apple cider pairs well with the traditional mule ingredients of ginger beer, vodka and lime juice. It’s Day 4 of AppleWeek! Have you checked out the giveaway prizes and entered to win yet? If not, head over to Monday’s post to read about the prize packs from our generous sponsors and fill out the entry form. Today’s recipe is an autumn twist on a Moscow Mule cocktail. 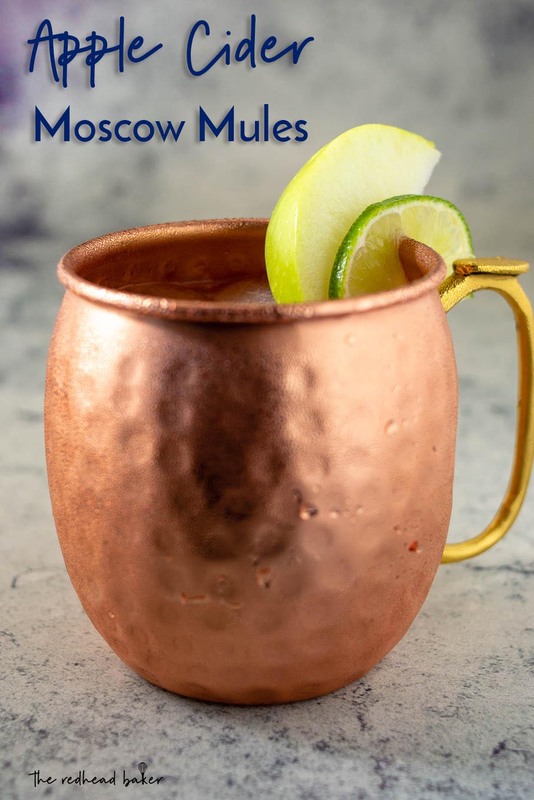 Have you tried a Moscow mule? It doesn’t have anything to do with Russia, or mules. It probably originated in New York in the 1940s. It’s a combination of vodka, lime juice and ginger beer, and it’s always served in a copper mug (but one lined on the inside with nickel or stainless steel, so the acidic drink doesn’t dissolve the copper into the drink). All three of those ingredients pair very well with apple cider. The ginger beer adds a warm spice to the cocktail that I’ve never had before. Ginger beer is not beer at all, but a non-alcoholic soda. Look for it in your grocer’s International Foods aisle. Why use a copper mug? The metal cup is an excellent insulator, and keeps your drink chilled longer. The mugs also have handles, which ensures your body heat doesn’t warm up your drink. 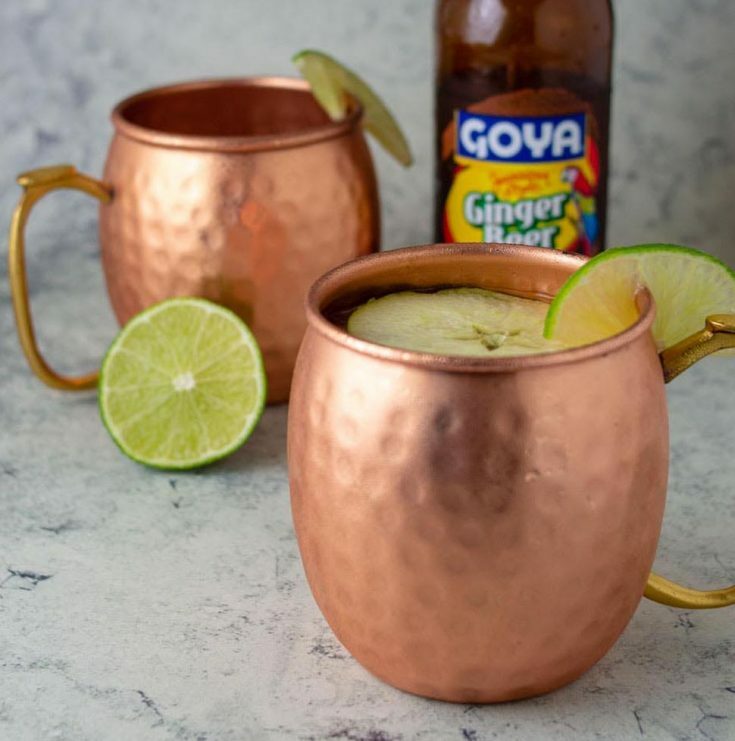 Some argue that the copper mug enhances the flavor of the drink, but those claims are purely subjective. I highly recommend using freshly squeezed lime juice over the bottled stuff you can buy at the store. Okay, the bottled stuff is more convenient, but it contains preservatives that can leave a bad aftertaste, and some of the lower-quality ones just taste fake. To squeeze the most juice out of your lime, microwave it on high for 10 seconds, then roll it back and forth with your palms on a hard surface before slicing and squeezing. For extra fizz, you could also substitute sparkling cider for the plain apple cider, if you have some on-hand and need to use it up. 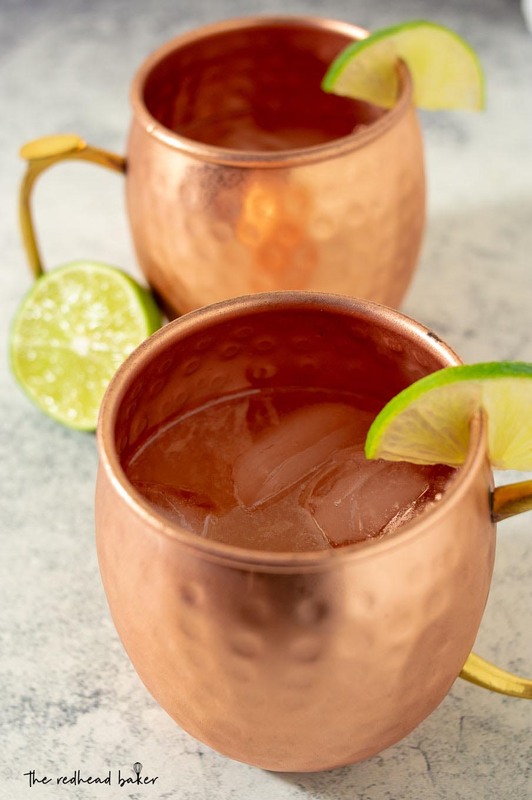 Fill two copper mugs with ice. Add the lime juice. Add the vodka and ginger. Top off each mug with apple cider. Garnish with slices of lime and/or apple and serve.